Thanks to Broken Tunes' inspiration, I'd planned to buy a book of W H Auden's poetry and read it through 2016. Well, I went into the bookstore and they had no Auden but a book of Robert Frost's poetry. 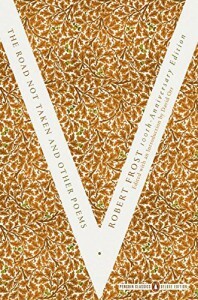 So Robert Frost and a reflective mood it is! I think that'll be my only reading and reviewing commitment for 2016, but hopefully I will manage to read more and more widely than this year.